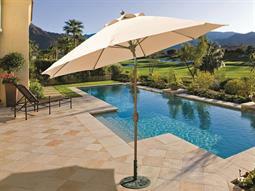 With an emphasis on value and resilience, Galtech was “made in the shade” in sunny California over twenty years ago. 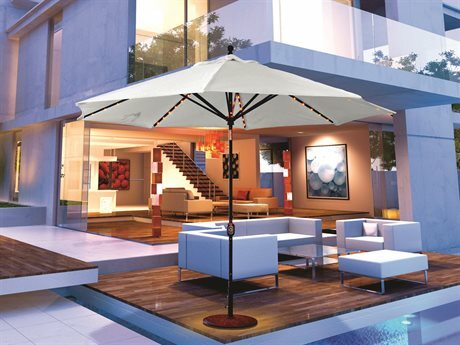 Concentrating on style, size, and using the best materials possible in the making of their products, the company’s dedicated team of specialists strive to make Galtech umbrellas the very best in the market. 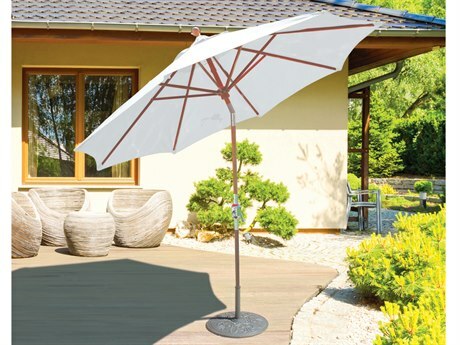 The brand’s extended shade sizes allow for increased shade coverage, while the natural beauty of the wooden umbrella poles add to the ambiance of any outdoor space. 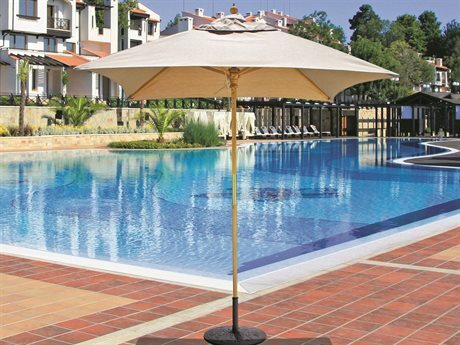 Galtech umbrellas’ wooden poles are enhanced and protected with multiple layers of marine varnish to preserve and maintain an everlasting fresh glossy appearance. 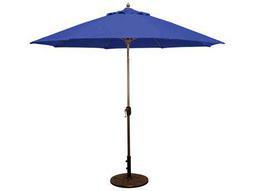 The brand makes a wide range of products, has seven collections, and also manufactures bases for their umbrellas. 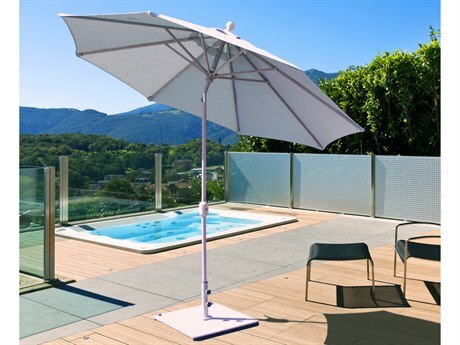 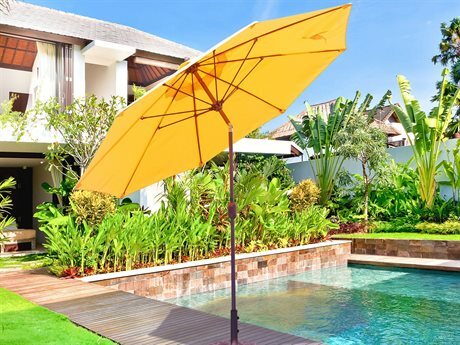 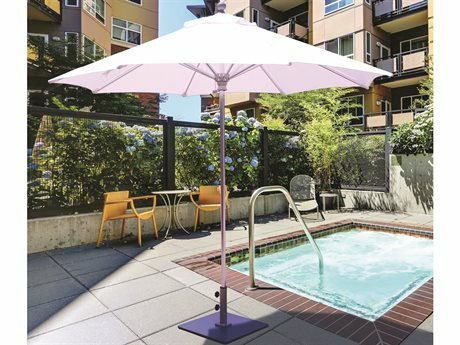 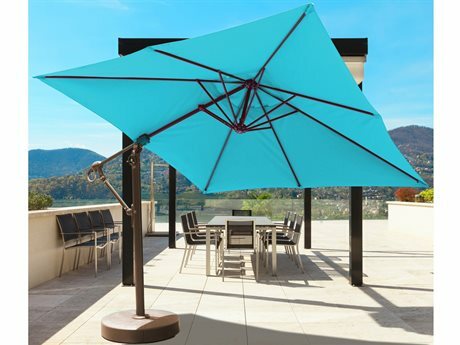 Their aluminum umbrella collection puts a modern twist on patio living, presenting an auto-tilt crank for easier assembly and versatile customization. 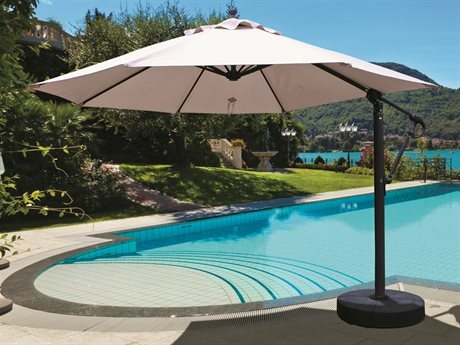 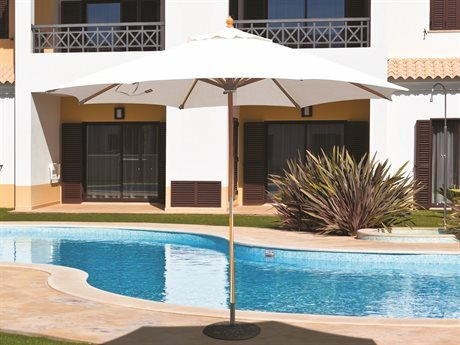 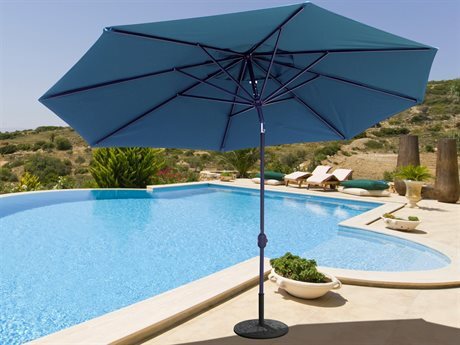 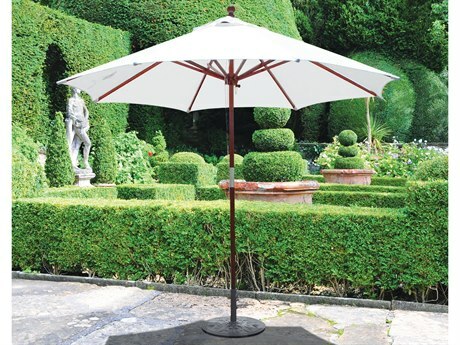 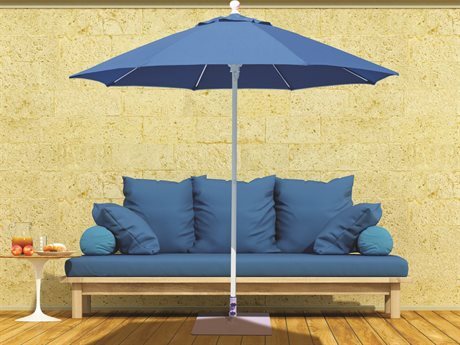 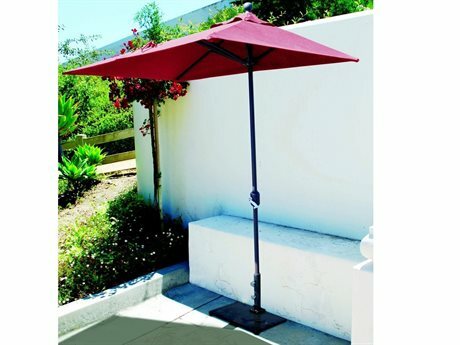 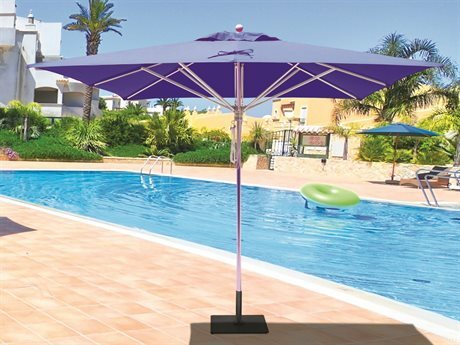 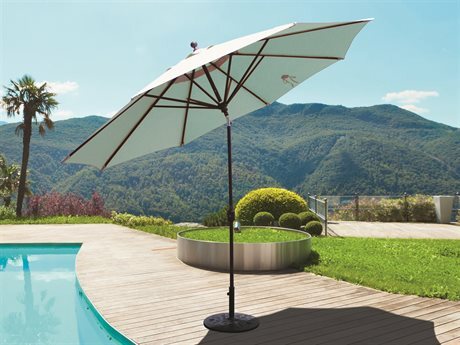 The umbrella’s adjustable hood can be positioned to be tilted and cover the surrounding area to target a specific place to shade. The Teak collection is especially designed to create the perfect amount of shade near the poolside. 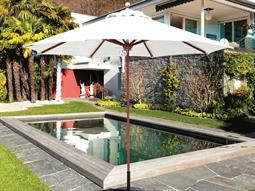 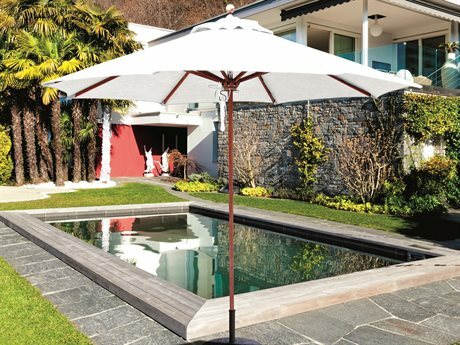 Teak doesn’t get hot in the sun, so it’s the perfect material for umbrellas that will be in the direct sunlight. 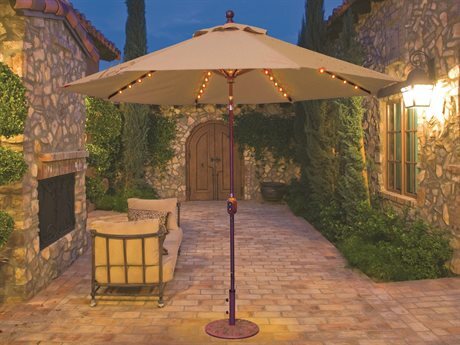 Its eleven foot hood span is ideal for multiple people, and perfect for groups. 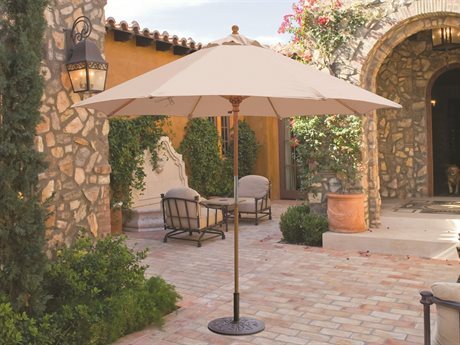 The Cafe and Bistro collection is the epitome of simplicity and style. 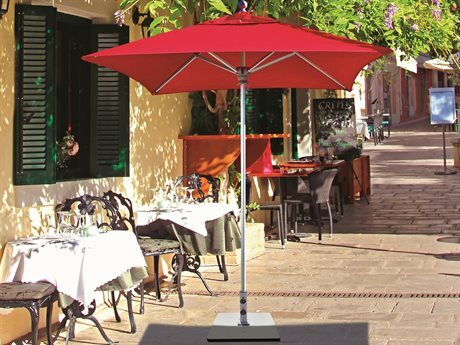 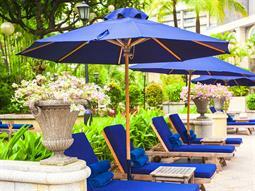 Featuring square and octagon shaped canopies, the Café and Bistro collection offers guests seven feet of shade. 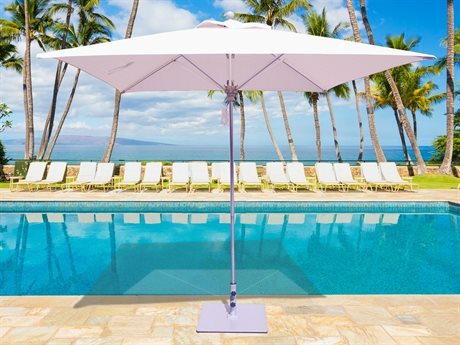 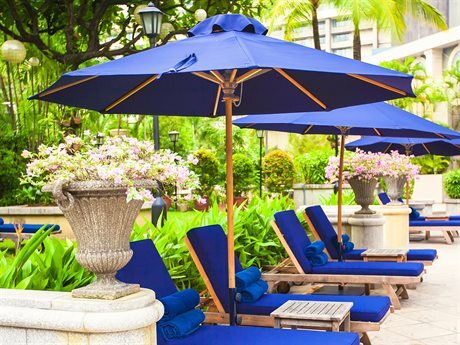 All of the brand's umbrellas are made with Sunbrella or Suncrylic fabric, a solution-dyed acrylic fabric that protects the umbrella from UV rays and fading. 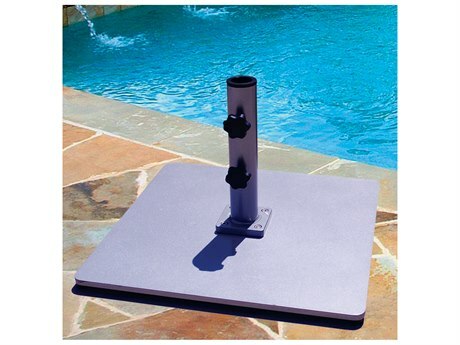 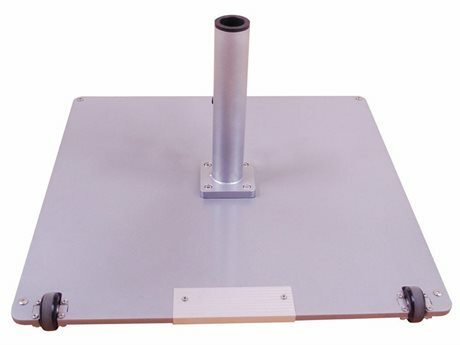 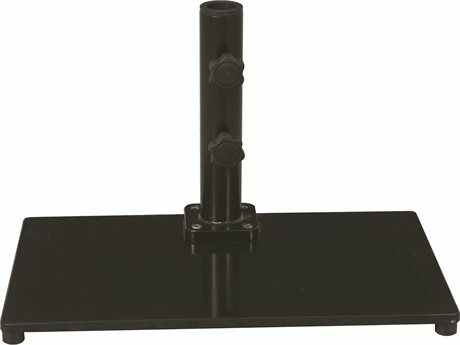 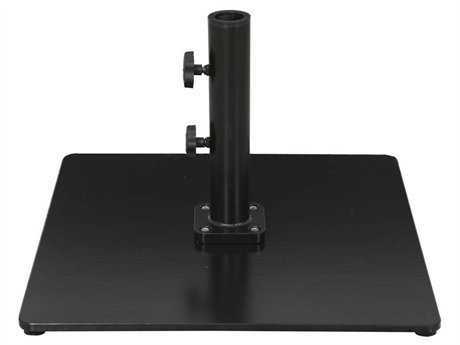 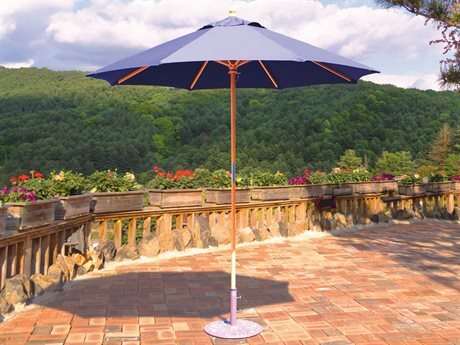 The company manufactures aluminum and steel plate bases, all of which are interchangeable and can support any Galtech umbrella. 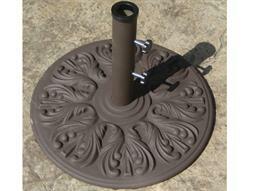 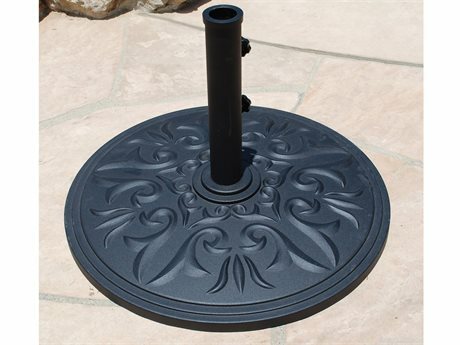 Galtech umbrellas have customization options that will appeal to even the choosiest of patio owners. 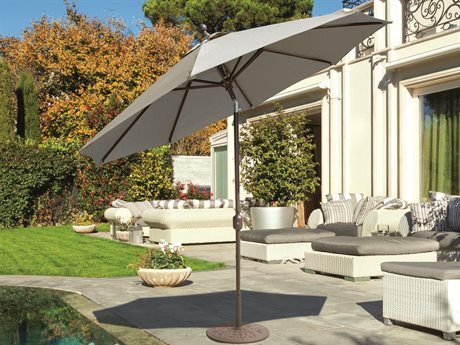 The brand gives you the flexibility to choose specific finishes and Sunbrella fabrics in a variety of colors and styles. 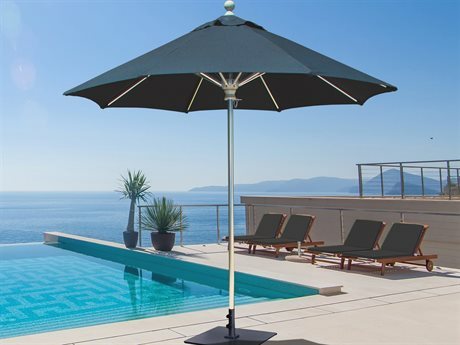 The company is committed to customer satisfaction and lasting durability, so the brand's umbrellas come a five year warranty. 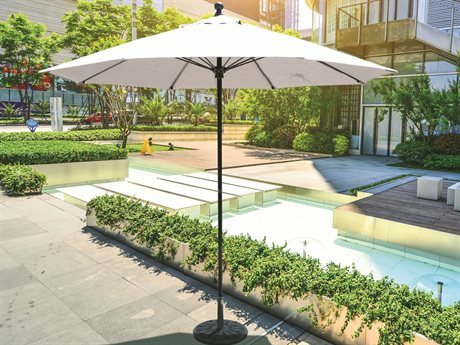 The company believes that everyone should have the opportunity to relax and unwind within the comfort of their own home. A Galtech umbrella will ensure that your outdoor experience is the best that it can be. 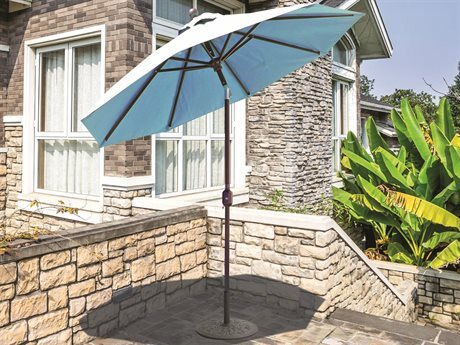 By providing shade, you will transform your family and friends’ outdoor experience into an exciting, fulfilling environment that everyone can enjoy for years to come.